This white oak neo-classic side-board served as a dry bar, television and storage cabinet for one of the William Morris conference rooms. It features bi-fold doors on top and bottom compartments to house a television, glassware and office supplies. 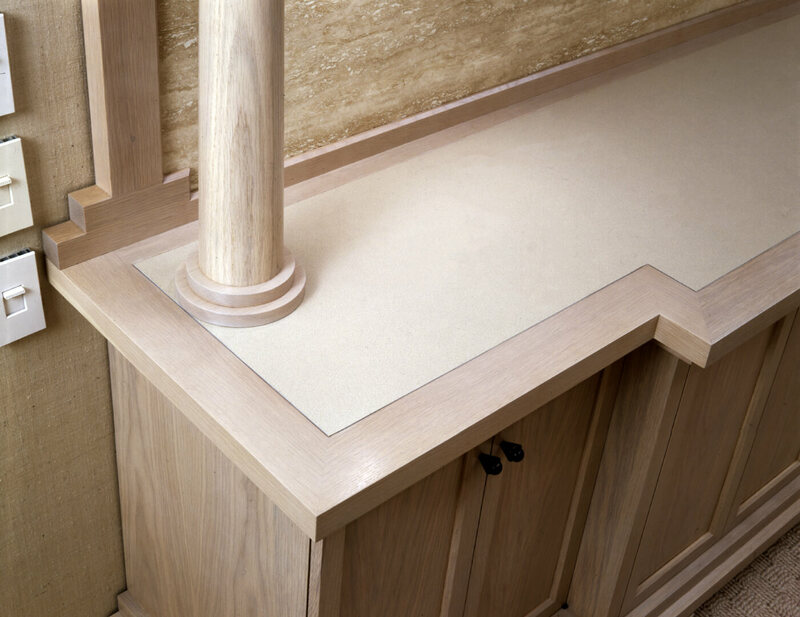 The work surface is laminate with travertine backsplash. The tapered columns lend a classic element. 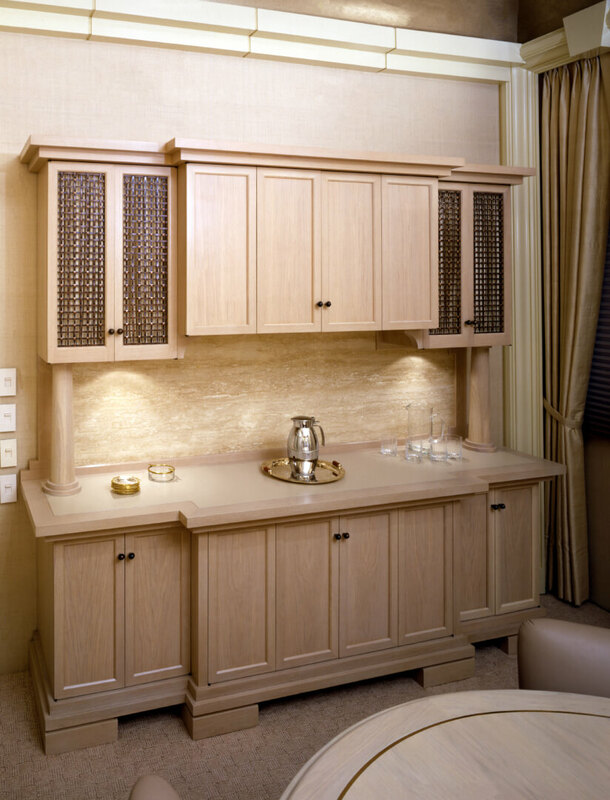 Two upper side closets are covered with cloth and bronze grille for auxiliary TV speakers as well as concealed glassware storage. The counter-top work surface is covered with plastic laminate for water resistance and the travertine backsplash elegantly blends with the white-washed oak finish. The two support columns were turned at about a four degree taper.